Theory and Application of Multiphase Lattice Boltzmann Methods presents a comprehensive review of all popular multiphase Lattice Boltzmann Methods developed thus far and is aimed at researchers and practitioners within relevant Earth Science disciplines as well as Petroleum, Chemical, Mechanical and Geological Engineering. 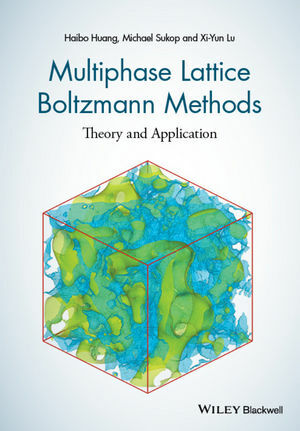 Clearly structured throughout, this book will be an invaluable reference on the current state of all popular multiphase Lattice Boltzmann Methods (LBMs). The advantages and disadvantages of each model are presented in an accessible manner to enable the reader to choose the model most suitable for the problems they are interested in. The book is targeted at graduate students and researchers who plan to investigate multiphase flows using LBMs. Throughout the text most of the popular multiphase LBMs are analyzed both theoretically and through numerical simulation. The authors present many of the mathematical derivations of the models in greater detail than is currently found in the existing literature. The approach to understanding and classifying the various models is principally based on simulation compared against analytical and observational results and discovery of undesirable terms in the derived macroscopic equations and sometimes their correction. A repository of FORTRAN codes for multiphase LBM models is also provided. Haibo Huang is an Associate Professor in the University of Science and Technology of China. He was a Courtesy Associate Professor during his stays at Florida International University. Michael C. Sukop is Professor of Hydrogeology at Florida International University in Miami and author of “Lattice Boltzmann Modeling: An Introduction for Geoscientists and Engineers”. His research emphasis is on flow and transport in porous media. Xiyun Lu is a Professor of Fluid Mechanics in the University of Science and Technology of China. His research interests mainly include computational fluid dynamics, turbulence simulation and biomechanics.